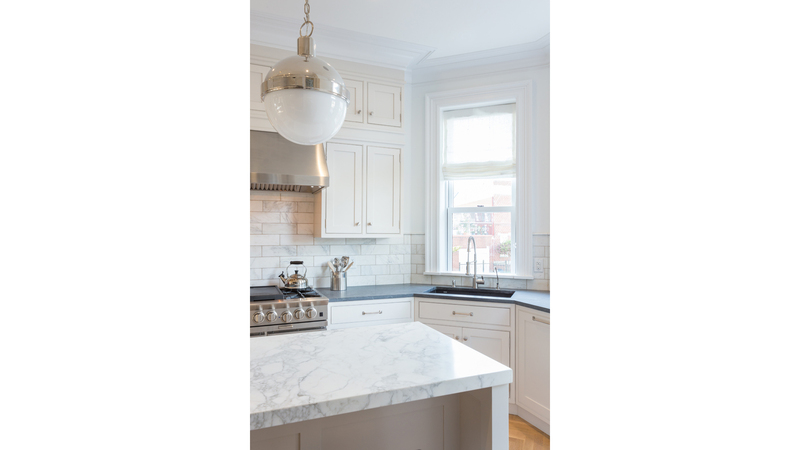 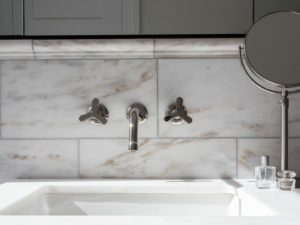 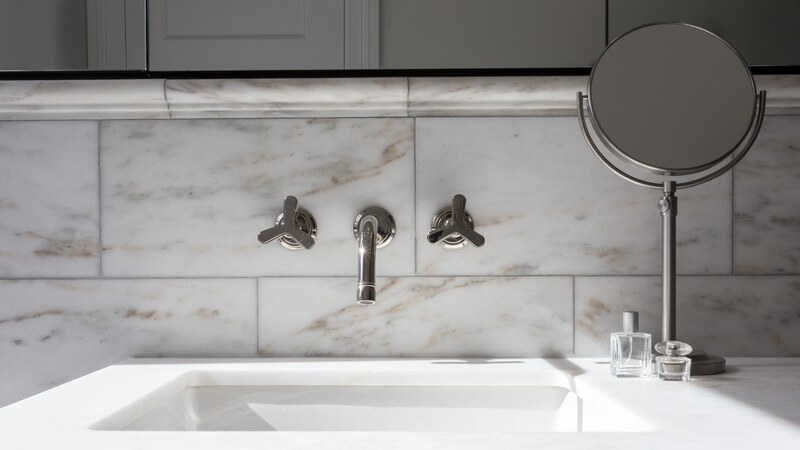 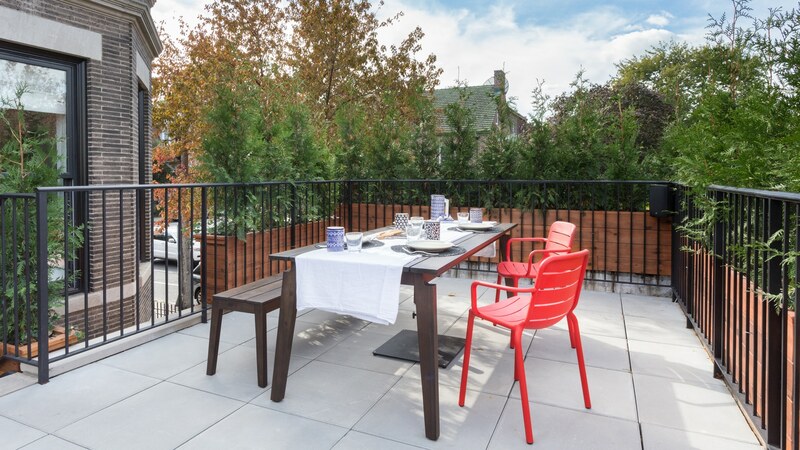 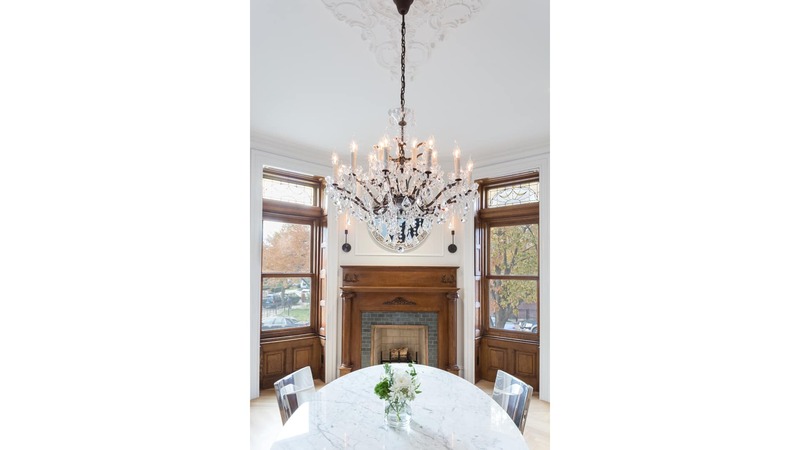 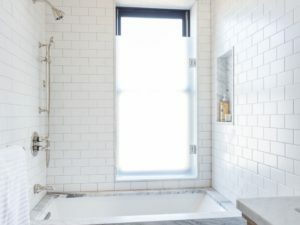 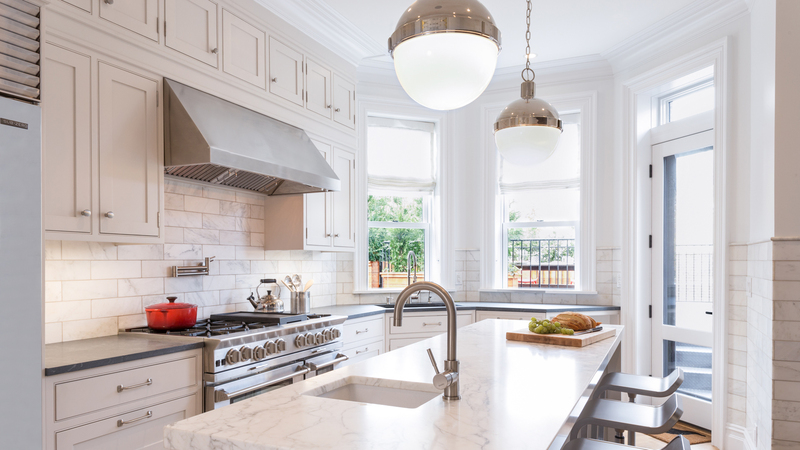 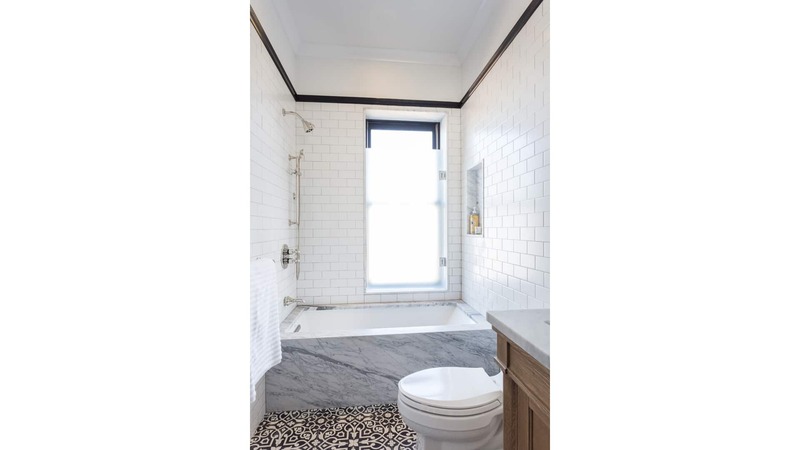 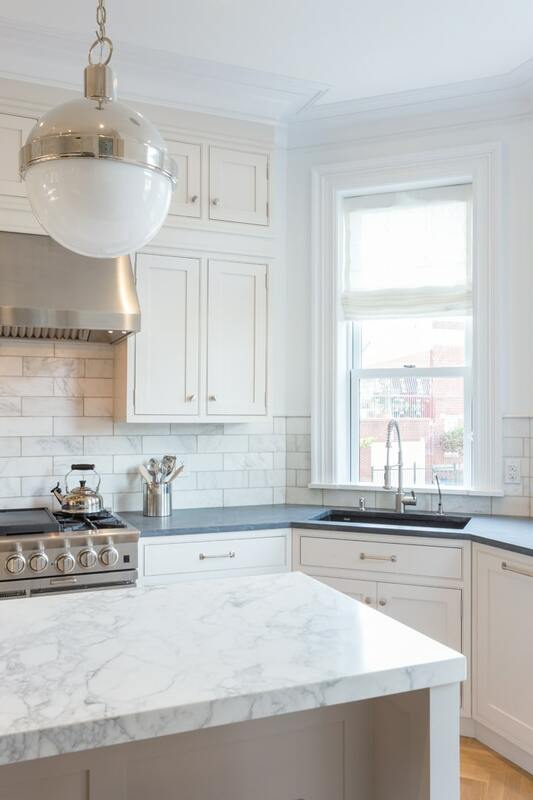 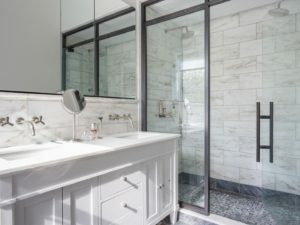 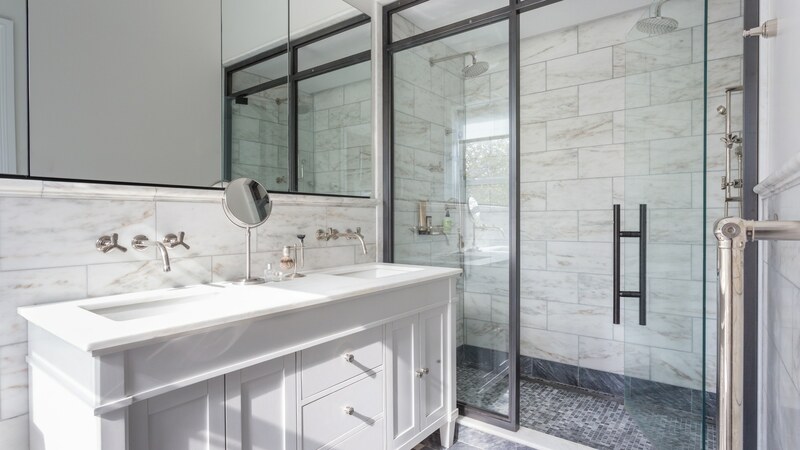 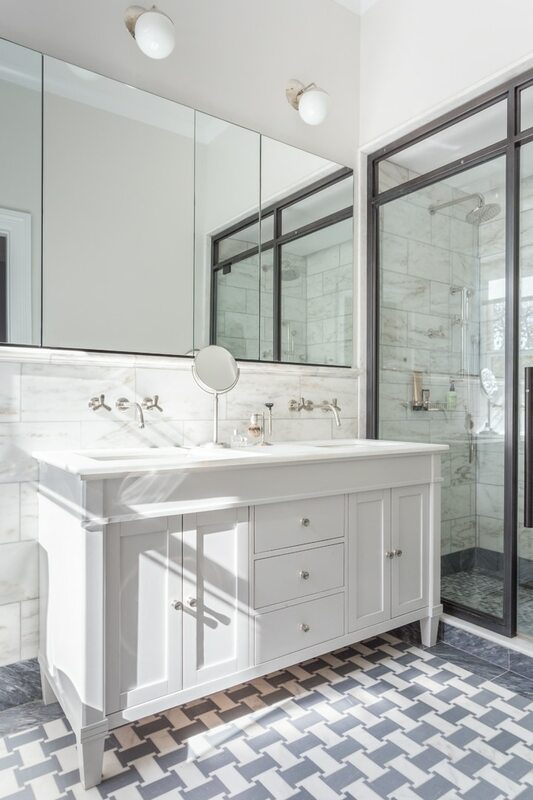 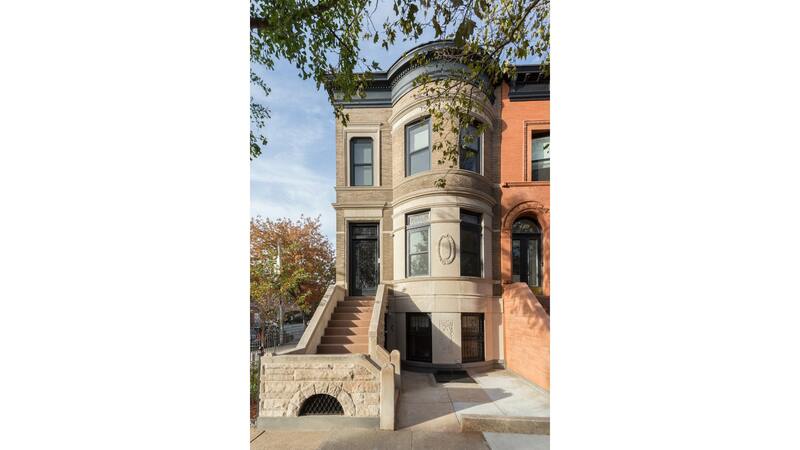 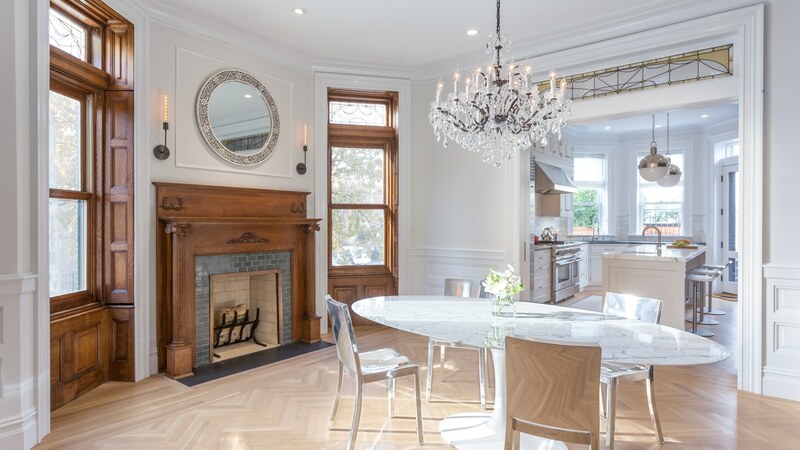 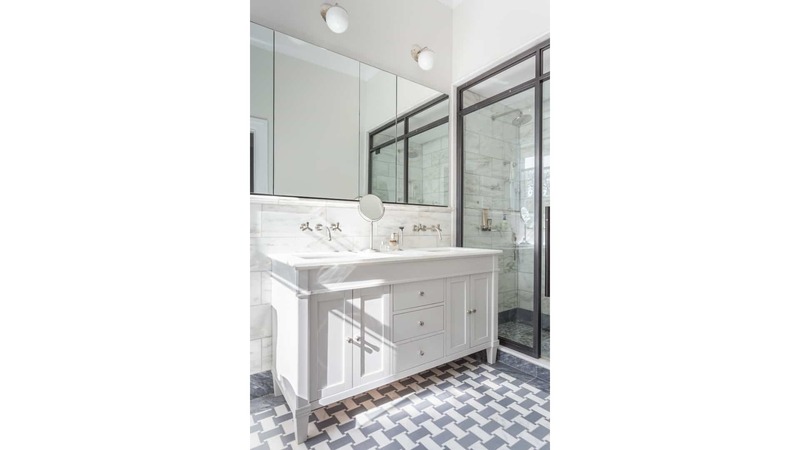 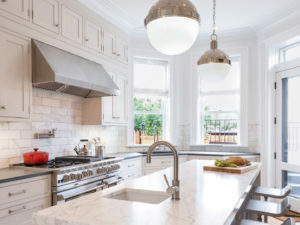 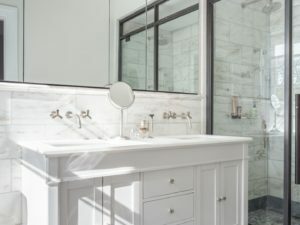 This Landmarked limestone was painstakingly restored while incorporating the client’s modern tastes using a palette of neutrals, black, and white. 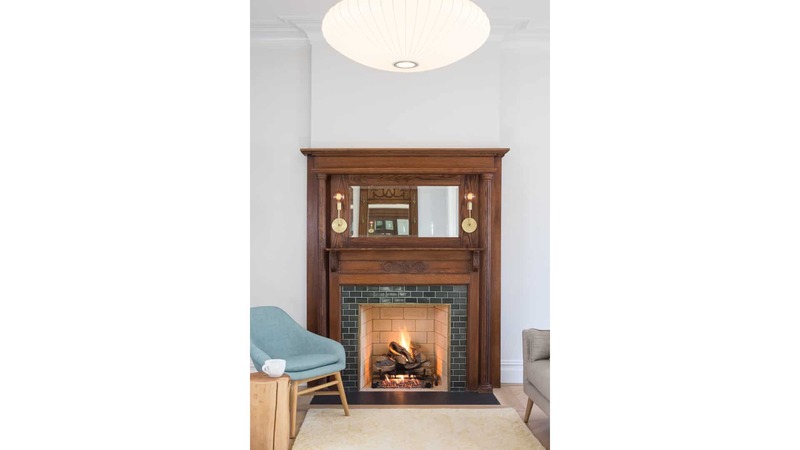 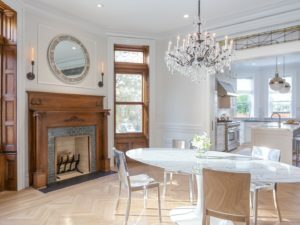 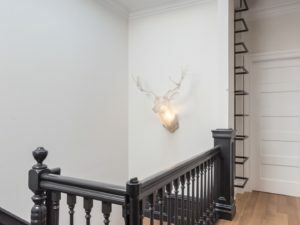 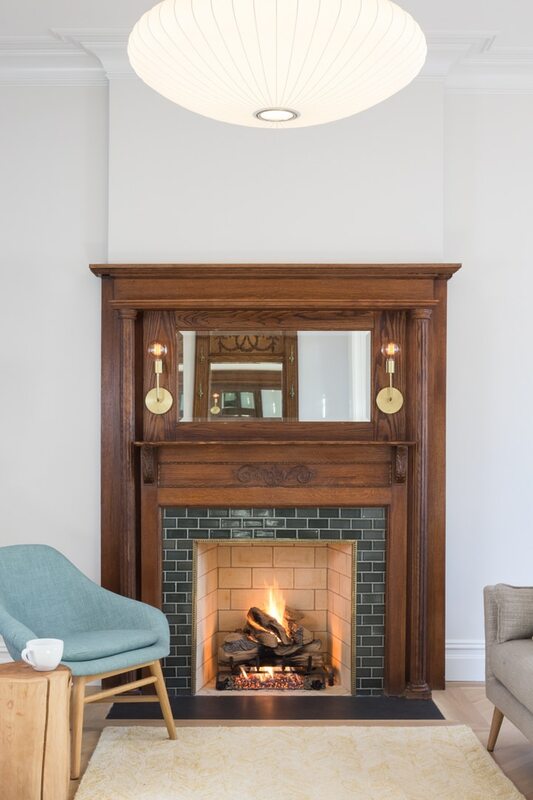 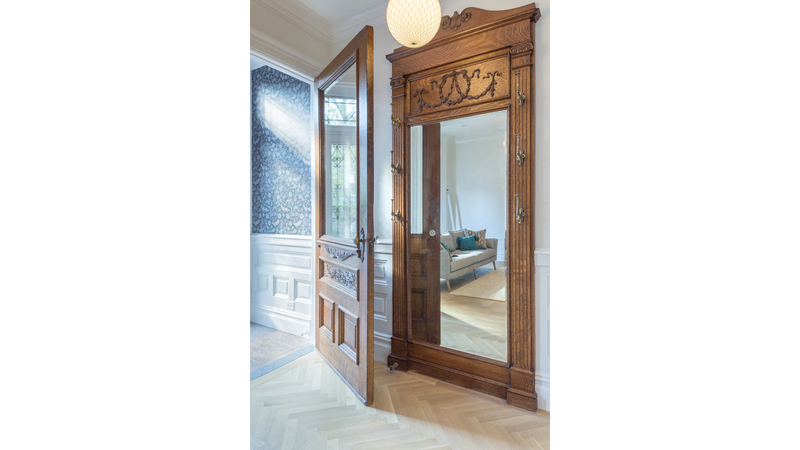 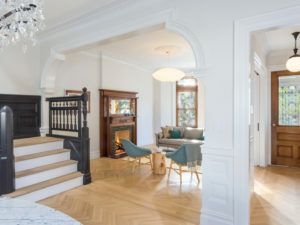 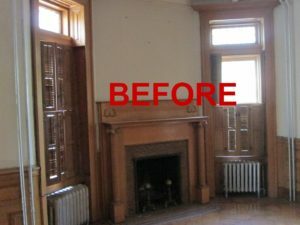 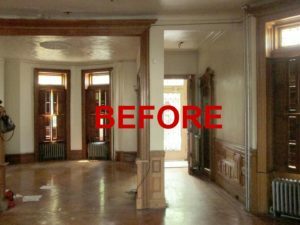 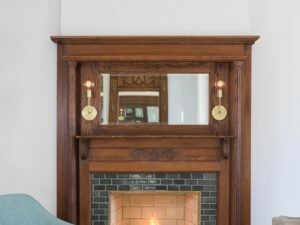 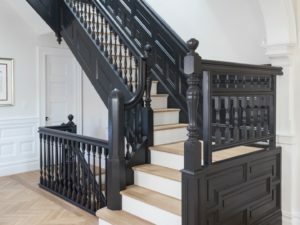 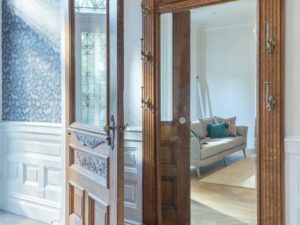 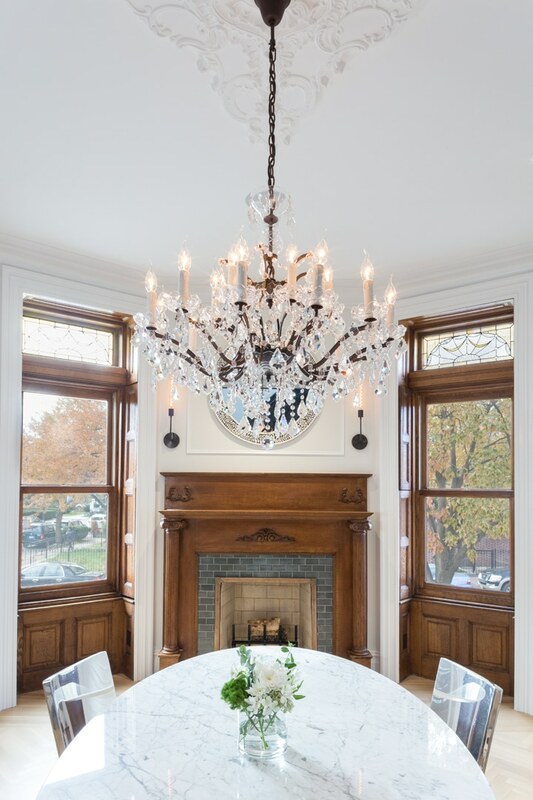 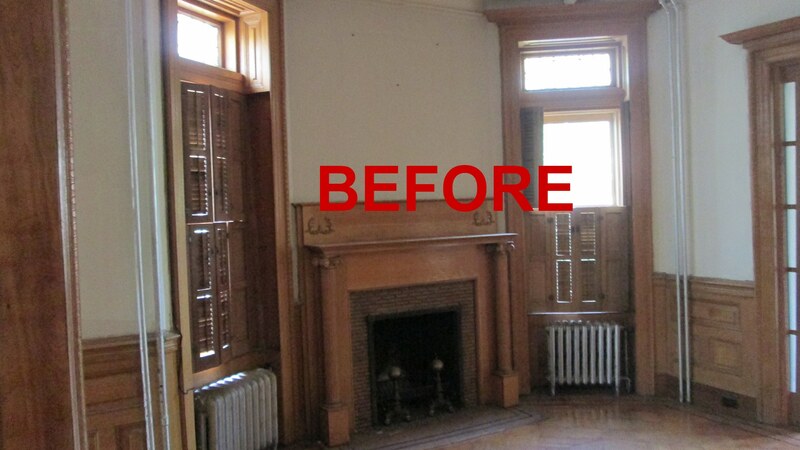 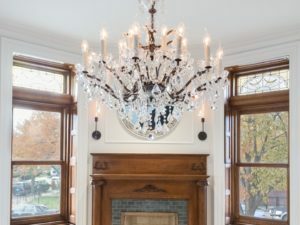 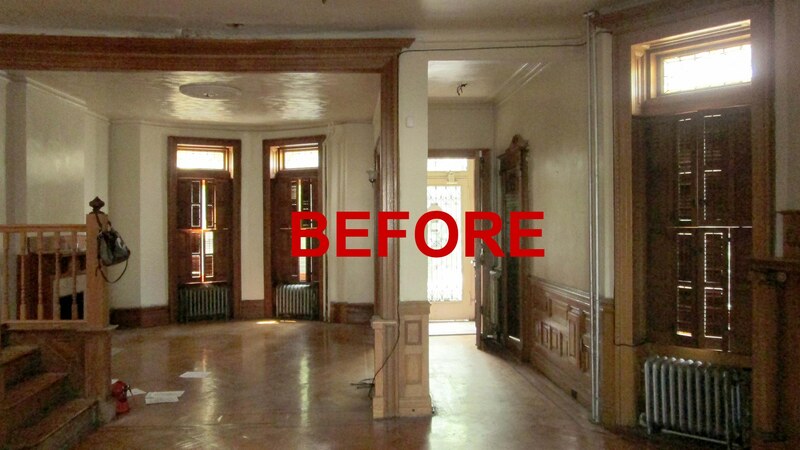 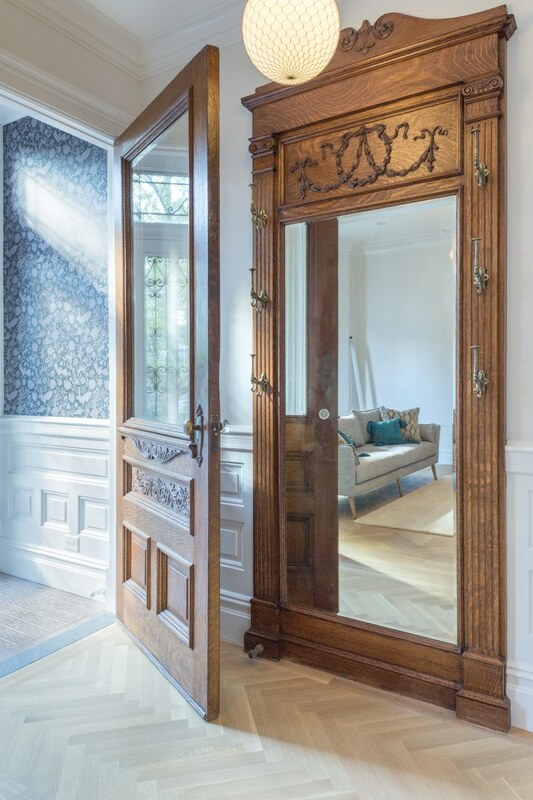 The original details – wooden mantles, pier mirrors, stained glass transoms, and wall panels – were restored or recreated from photographs and historical research. 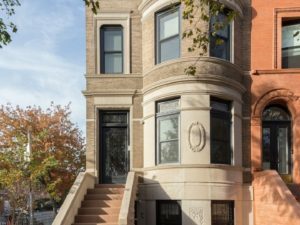 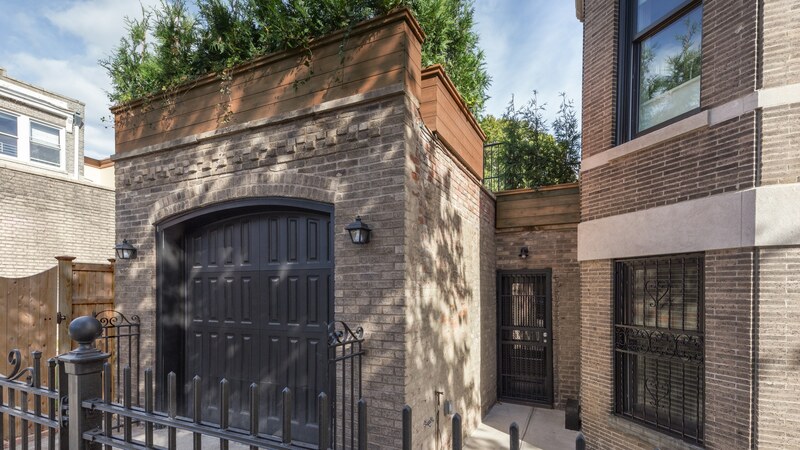 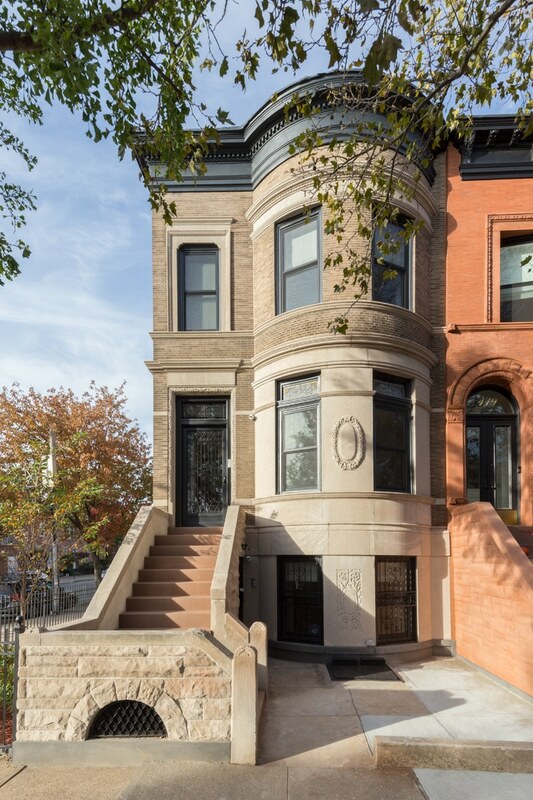 This property came with an attached garage, which is a blessing in Brooklyn, but blocked light and yard access for the basement level. 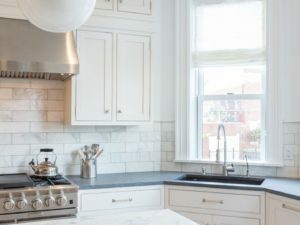 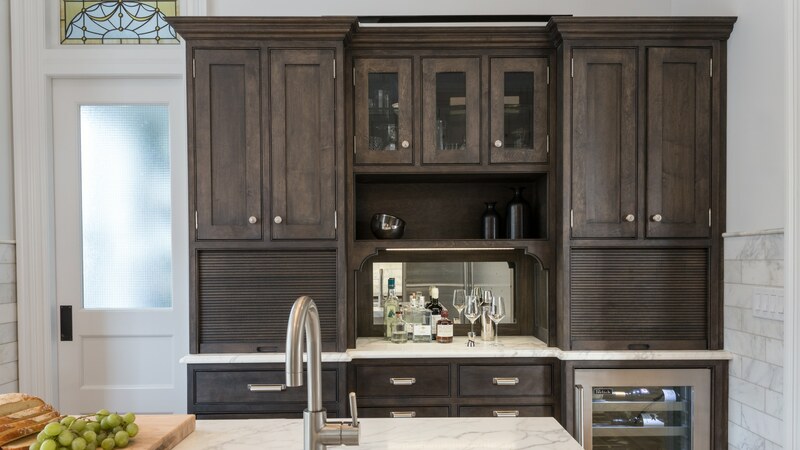 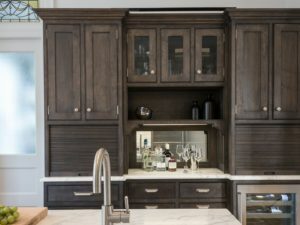 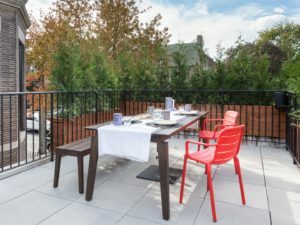 The kitchen was located on the parlor level to connect to a new roof deck above the garage. 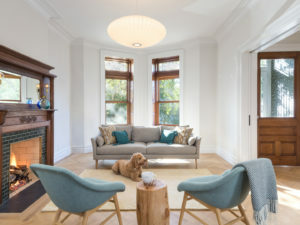 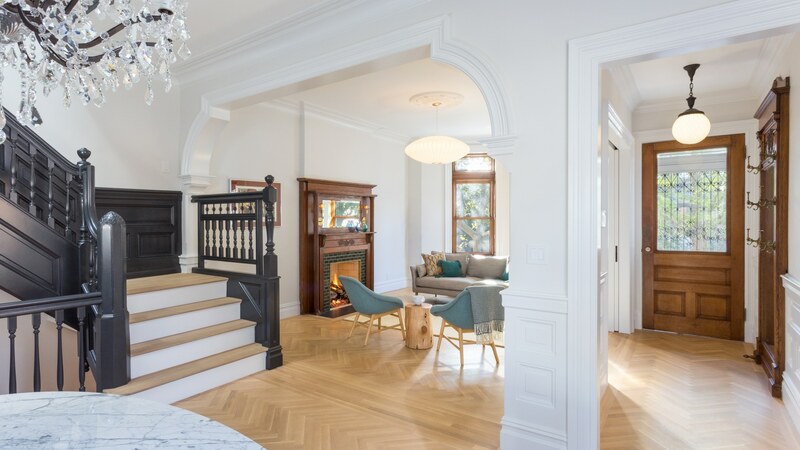 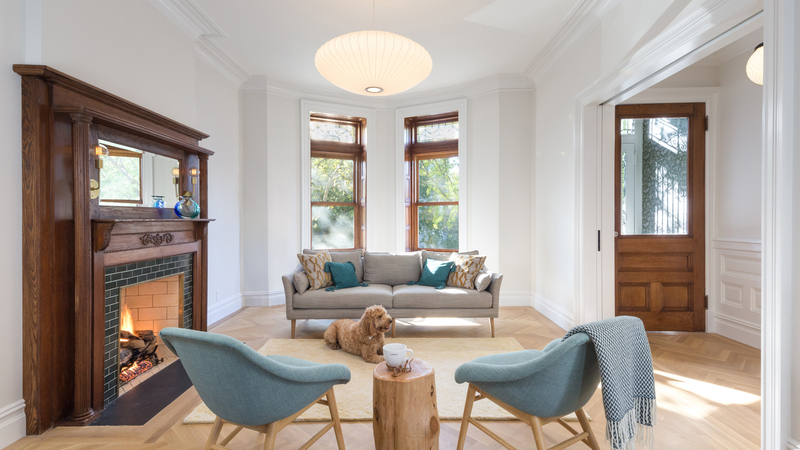 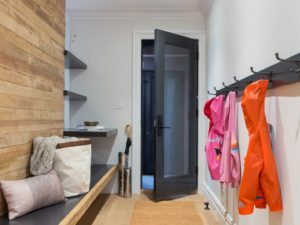 BHA was able to give this young family the best of both worlds: an elegant parlor level that really functions for daily life, as well as a basement with hard-working family-friendly spaces. 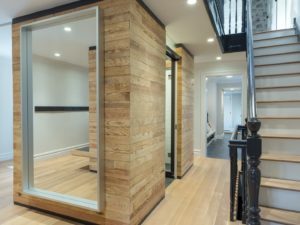 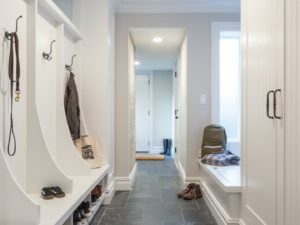 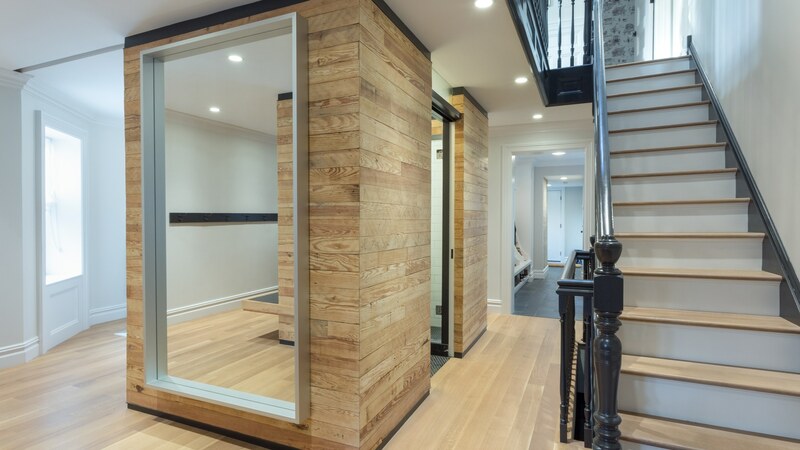 These rooms are a modern take on the classic materials upstairs, with a plank-wrapped detail around the bathroom and the entry’s built-in shelving. 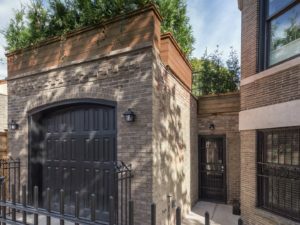 The garage’s roof was repurposed as a deck with additional access to the yard below. 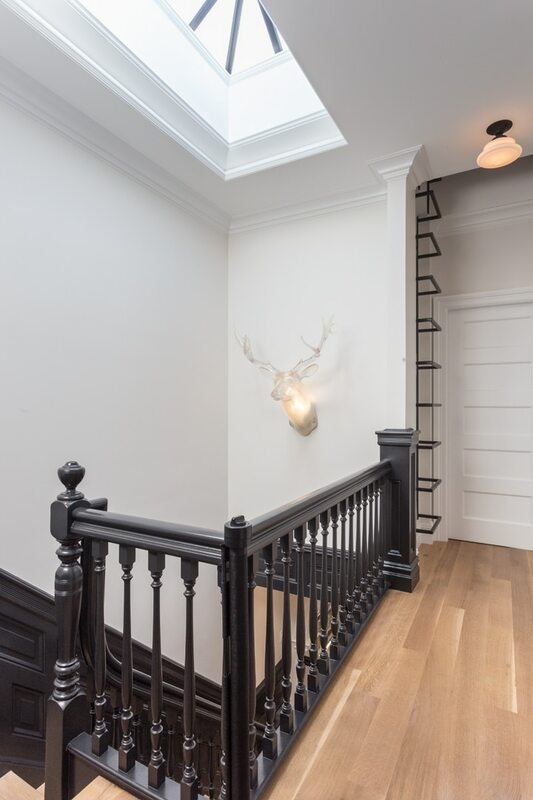 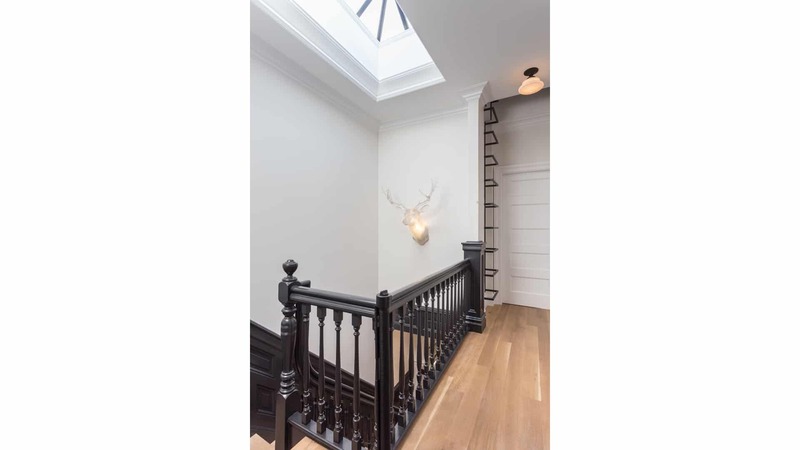 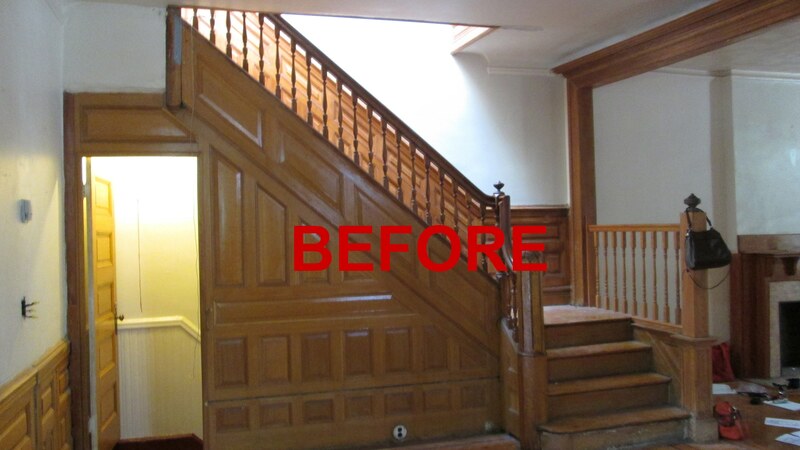 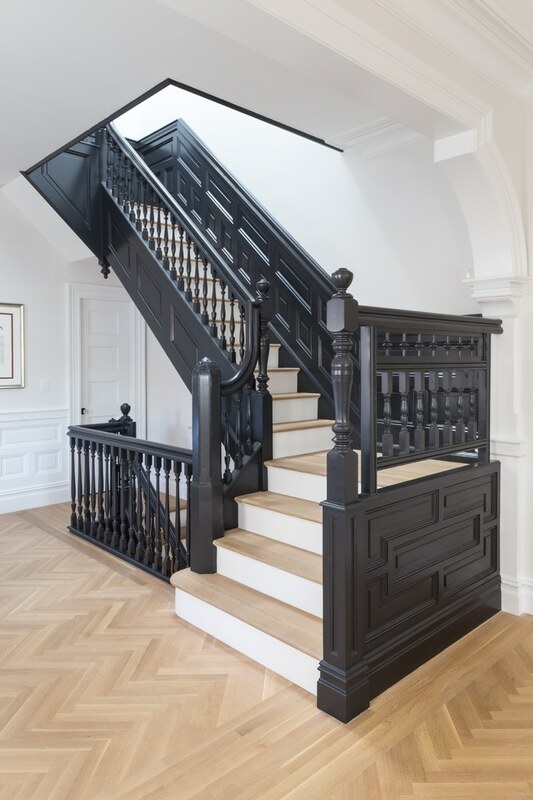 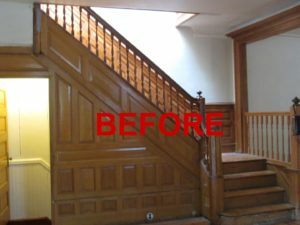 The center stair became a dramatic focal point after opening it up to the main space. 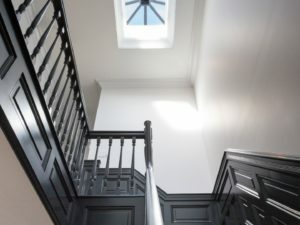 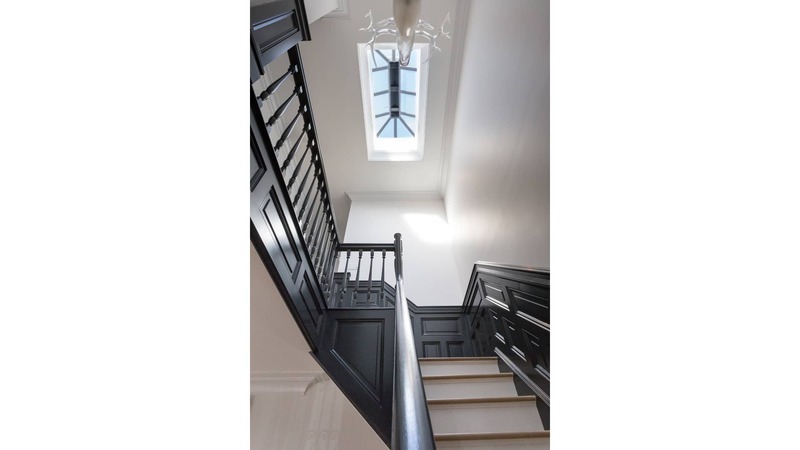 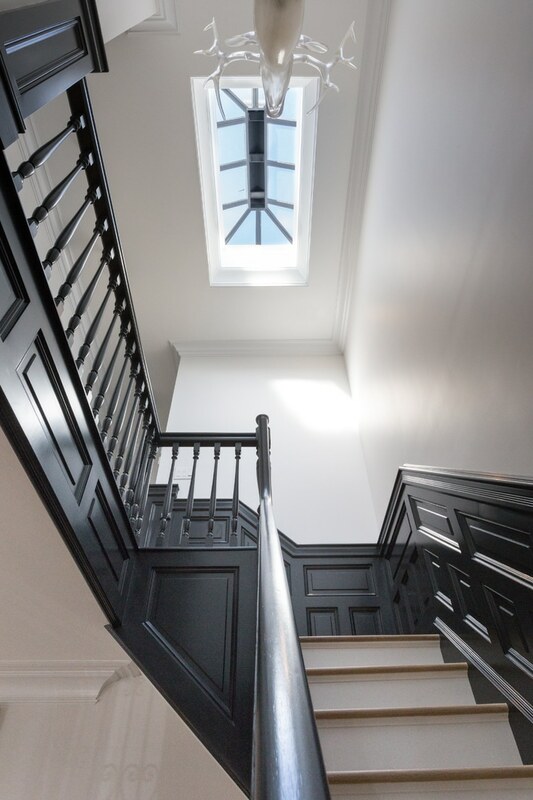 The addition of a large skylight above the stair now brings daylight down through the whole house. 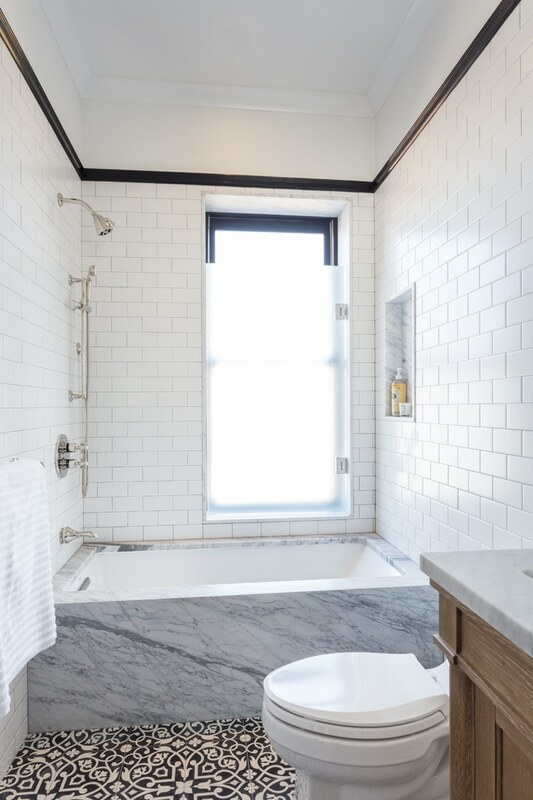 Custom-colored wallpapers in the powder room and entry are by Flavor Paper, and the modern steel ladder to the roof access was custom-built.